You would know only too well, LInda – and give your boys a tickle behind the ears from me ! Well, there’s a new window into history! One day, it won’t be the hidden histories of women that are told, but that of animals. Well, one can hope. How very beautiful. Dogs are indeed amazingly faithful in their love. My grandmother told me of her little dog who managed to find her and her family when they had been accidentally separated at the end of WWII. The dog walked miles to get to another village where his human family had been sheltered from the bombing. Thank you also for the Marie-Antoinette’s pet mention. Although French, I had no idea. At least Marie Antoinette’s dog was looked after – unlike her little son… you know about him? Yes, I have achieved that goal… they all died happy !!! Glorious picture that you painted… and lovely thought about memory and imagination…love the way your mind works !!! 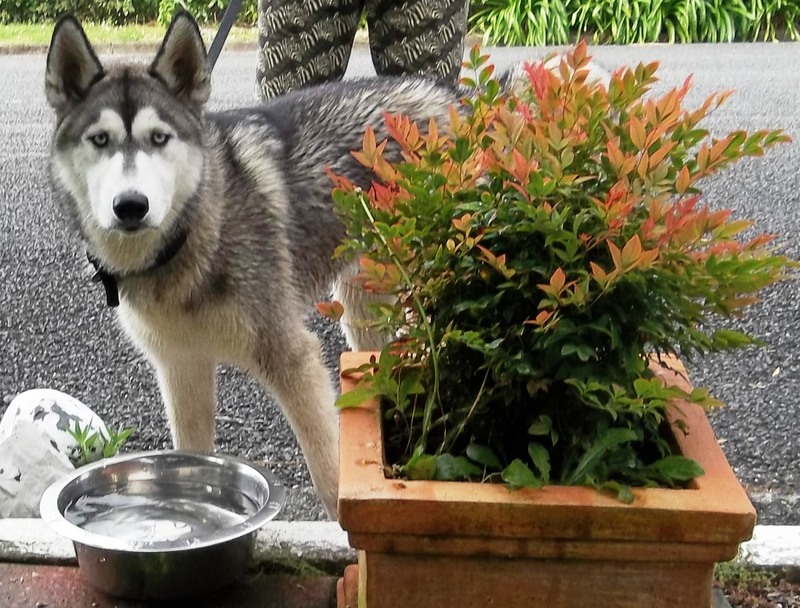 Thank you Barbara – so good to hear from you..The husky was gorgeous wasn’t he ! Makes me want to go rescue a dog right now. Sigh for allergies. Dear Jadi, congratulation on your awards – so well -deserved. Hi Valerie, I decided a while ago to respond to nominations as it gives me the opportunity to promote the blogs I admire. I completely understand your decision to decline it though. Beautifully written Valerie., and oh how I agree with your sentiments at the end. I openly admit I’ve howled at the death of both a budgie and a rat so easily because of the devotion they’ve displayed – animals few would credit with those kind of feelings. Would that the world showed half as much feeling for each other as animals and owners do for each other and would that the owners of all animals showed as much feeling for the animals as the animals often do for them. Whoever you are – thank you kindly !!!! Valerie, you might like this book ‘Animals at War’ Usborne Young Reading for your grandchildren (if they are young). My daughter loved reading it and frequently reads it again. Hello Paula, yes, you’re right, and rabbits and parrots – and all of creation if only we let them in !!! Thank you for the book reference – lovely idea … but my grandchildren are all now at university, and looking at things like DNA and Nietsche, and suchlike !!!! http://www.royalcollection.org.uk/microsites/hotga/MicroObject.asp?item=8&themeid=2591&object=2580028&row=9&detail=about Dear Osman did have a happy ending, thank goodness. Valerie, a beautiful post, full of wonderful, thought provoking stories. 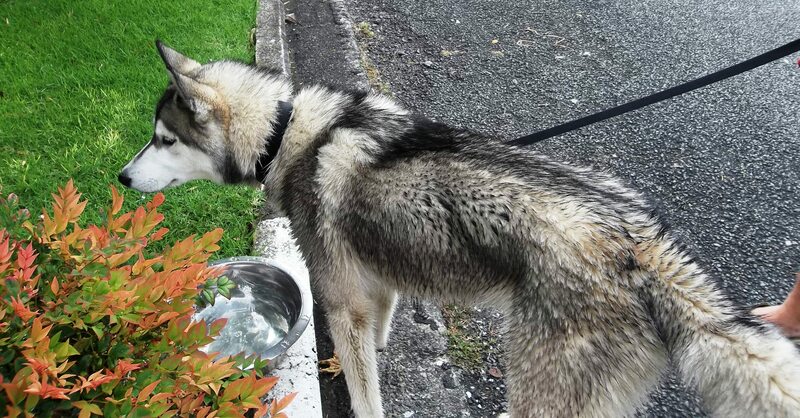 Husky Rescue NZ operates from Christchurch http://www.stuff.co.nz/the-press/christchurch-life/9292166/Huskies-suffer-cold-shoulder. It really is sad how we fail our “friends”. Look how closely we are linked http://www.youtube.com/watch?v=LLeYCAuNDY8 Mmmm… a lot of links in this comment but I am passionate about this subject. So that’s where we get our word hound from… those Vikings spread their words around !!! Rescue dogs, wonderful creatures. I have a new one who is still trying to learn my home and still socializing. She is still a bit fearful and it breaks my heart. But she is lovely and loving. These were wonderful though at times heartbreaking stories. Thank you for them. The pictures were beautiful. Since I’ve never read a post of yours I didn’t like, we’ll take that part as given (and I’ve already given it my gravatar seal-of-approval above.) Some miscellaneous thoughts…. On the subject of dog bowls…I love the many businesses in downtown Naperville have water dishes out in the summer for passing thirsty dogs. On dogs as pets…Too many people take on a dog with regard for how much time and space they have, what type of dog is best based on those things and the requirements for that breed rather than how the dog looks and then, if things don’t work out, too many just dump their pets. How can they??? In addition, there should be more spaying and neutering, which would go a long way to help. OK. That’s it. Way more than my two cents’ worth. 🙂 Have a wonder-filled weekend, Valerie. As I lead a life in transition and move forward to the next chapter I long to have the company of a dog…..it must surely happen. On reading your blog I feel uplifted and know that the joy of rescuing a dog is ahead! Thanks for blogging your writing is looked forward to each month. Good to hear from you – hope you are found soon by the perfect little soul who is awaiting you! So glad you enjoyed the blog – I publish once a week if you’re interested…. Your post is heartbreaking and heartwarming and the picture of the visitor to your dog friendly aid station is beautiful. The dogs in your neighborhood are blessed. The same can be said for cats. I hate to see anyone abusing any animal or abandoning them. Both sad and touching, I hate to think of what dogs feel when their people are unexplainably gone. Yes, I feel the same… good to hear from you Andrea…. hope your weather is improving..
What a beautiful dog! Do you always leave a bowl of water for passing dogs? What a lovely idea. Yes, I have done for years – one of these days I’m going to write a blog about it- it’s been fascinating ! So good to hear from you… I agree… and how lovely to have so many different animals…. Oh my, I had to skim the 2nd half, Valerie. How did you find out this information about the dogs left behind? There are so many sad animal stories in the world, and I find that I feel more burdened by it as I get older. I worked for an animal welfare group and on behalf of other groups when I was younger because I’ve always been moved by the fate of animals at the hands of humans, but now the burden seems heavier, and I become closer to feelings of despair with each sad story. I share your passion for our four-legged friends. We owe them a great deal of gratitude. Their loyalty is unfathomable. They understand our thoughts, feelings and language even better than we do. I thought that you would appreciate this story…. “This soldier, I realized, must have had friends at home and in his regiment; yet he lay there deserted by all except his dog. I looked on, unmoved, at battles which decided the future of nations. Tearless, I had given orders which brought death to thousands. Yet here I was stirred, profoundly stirred, stirred to tears. And by what? By the grief of one dog. trust you to find it !!!! No one loves as unconditionally as a dog and they ask so little in return. As a young wife I had a dog, Ginger, who lived 18 years from the day she was born in our spare bedroom. We called her a Mexican Heinz (part chihuahua and part everything else in the neighborhood.) I remember a particular time I was distressed and she literally cried when I did. I’m touched by your love for animals. Beautiful post. Thank you Rochelle, so glad you enjoyed it… did you get another dog when Ginger died? No. We never did get another dog. We had two cats at the time I had to put Ginger to sleep. One of the cats, Shyler, lived to be 18 also. She left us nearly 3 years ago. With busy schedules and not a lot of home time to care for them, we’ve felt it would be unfair to a pet. I miss the warmth and loyalty and think that one day I’ll perhaps get a rescue dog. Thank you friend… at least we are all agreed in bloggerland ! What amazing stories you’ve shared. These poor grieving animals and no one caring enough to understand. Very touching post, Valarie. Thank you Lynne, dogs do touch our hearts don’t they?